A wonderful thing about traditions is they can help you rekindle good things that deserve to be repeated, especially in showing others that you care. For the early years, when we were fewer in number, as I was the General Manager, I would try to find special gifts like books and things. But, over time, as the years passed and the station grew, I ran out of book ideas unique enough for a burgeoning staff. There were only so many editions of “Life’s Little Instruction Book,” after all. So, food became the next thing to share. Cub Scout Popcorn, given my association with all of that. Then, as my sons moved on to adulthood, what next? Little did I realize that a longstanding Hanley family tradition was in need of extending. Now, since my mother’s passing, the tradition has even greater meaning for me. 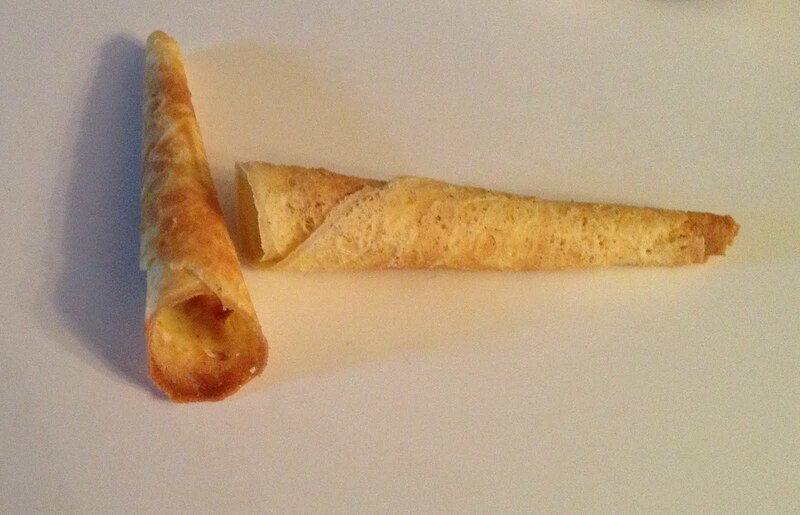 For decades, my mother had made Krumkake, a not widely-known Norwegian rolled cookie. Owing to my mother’s Danish heritage, she had taken up making this cookie as her primary holiday baking activity back in the 70’s, 80’s and 90’s. It uses a lot of eggs and butter, and has some special features. 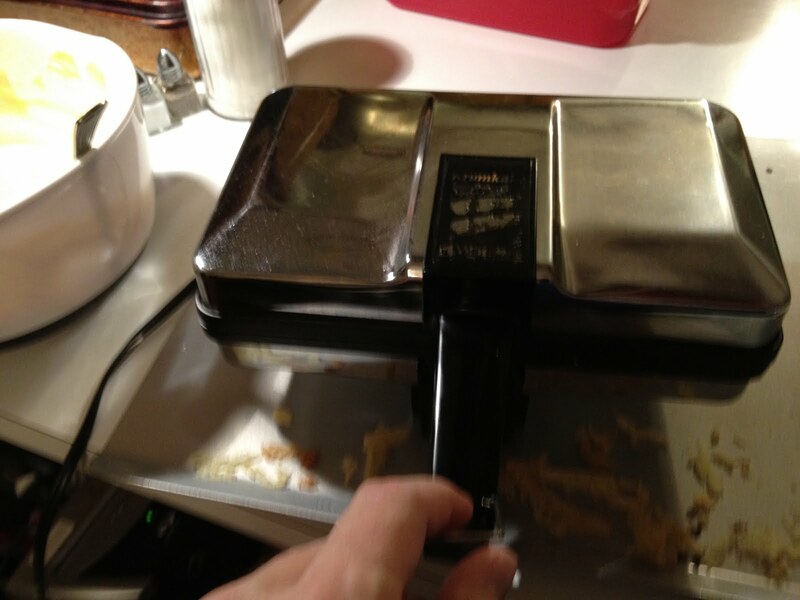 For years, my mother had used a single iron that was placed over a stovetop burner. 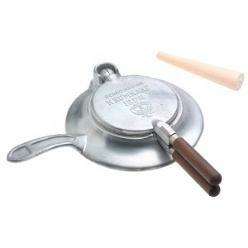 While the cookie you make and then roll was perfectly round in this iron, it was also very time consuming and less than perfect at keeping precise heating. Later, my mother bought an “electric” two-sided iron. Instead of one cookie every 90 seconds, you could make two! Instead, you take the hot baked cookie off the iron, put it down on a counter and quickly and with some danger, roll the cookie by hand. Or should I say, by fingertips! As cookies go, this recipe uses a LOT of eggs and butter. The batch I show here was using 9 eggs and three sticks of butter. And that cookie, when it comes off the iron, is HOT! They can be served with whipped cream, sprinkled powdered sugar or just plain as is. I have seen variations, like the mix of flour doubled up, which makes for a doughier cookie, but this is the recipe I’ve settled on. 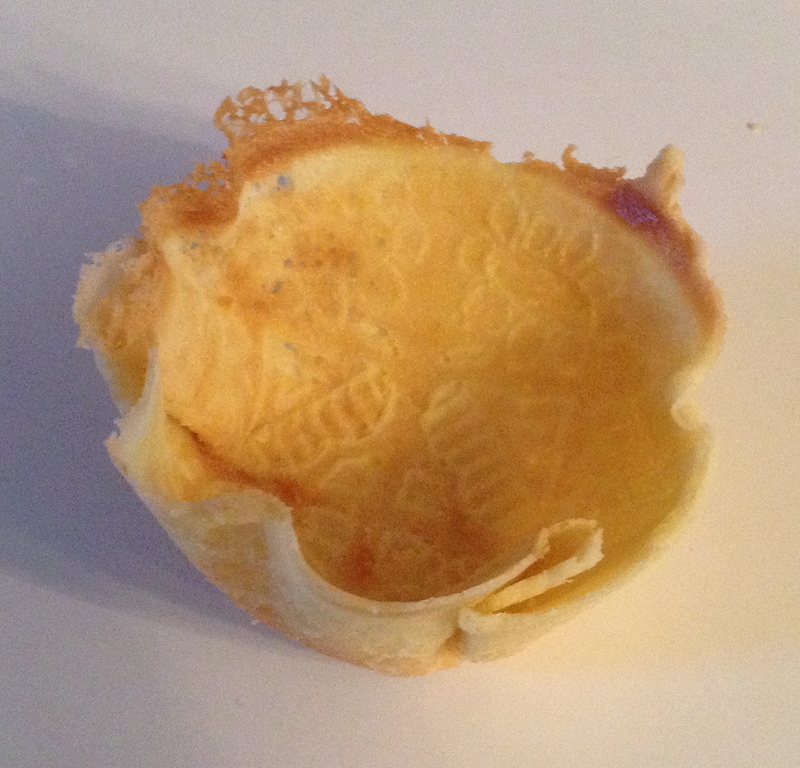 One trial effort this year, from Laura’s suggestion, was to take an unrolled cookie and use those tiny SOLBRÄND plastic bowls from Ikea to make a tasty pastry bowl out of the new shape. More testing to be done…but whipped cream, ice cream, fruit – it is all good. That was a few years ago, also around the same time that my mother was no longer able to make these cookies, so it has been good to keep the tradition going. And share them with my mother, father and their neighbors, too. Like my mother before me, December is now a month where eggs and butter fill the fridge, the smells of melting butter and vaporizing almond and vanilla extract fills the air. 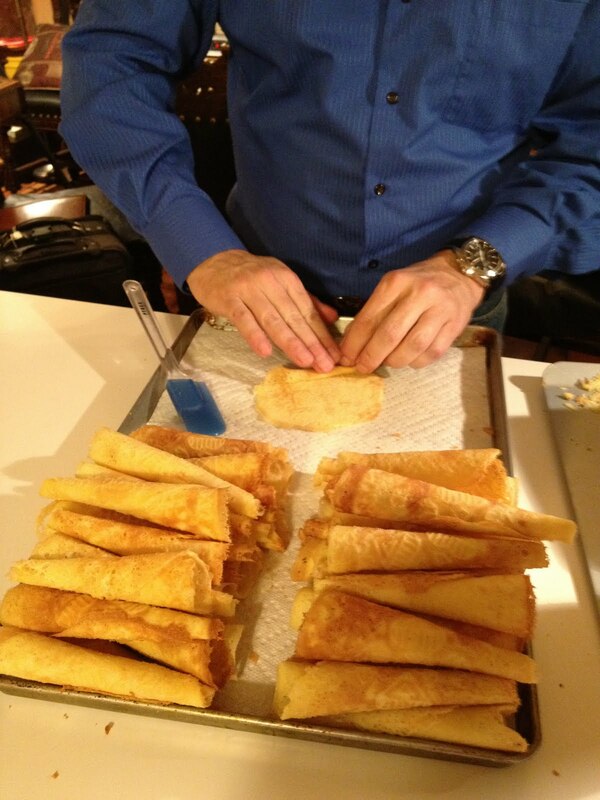 I even taught my youngest son, Jon, how to make them. When I first wrote this post in 2011, with WDUQ gone, I was not not making quite so many cookies, but still in the hundreds. 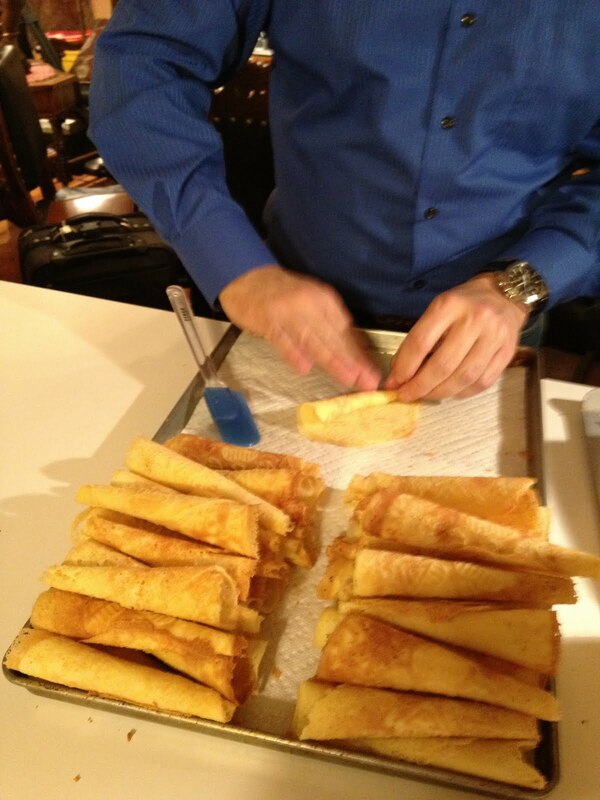 I managed to go through several dozen eggs, share Krumkake with friends and family in Pittsburgh, Washington, DC, California and Michigan. Now that I have found a new home and public radio home in Birmingham, AL at WBHM, I’ve fired up the factory, again. 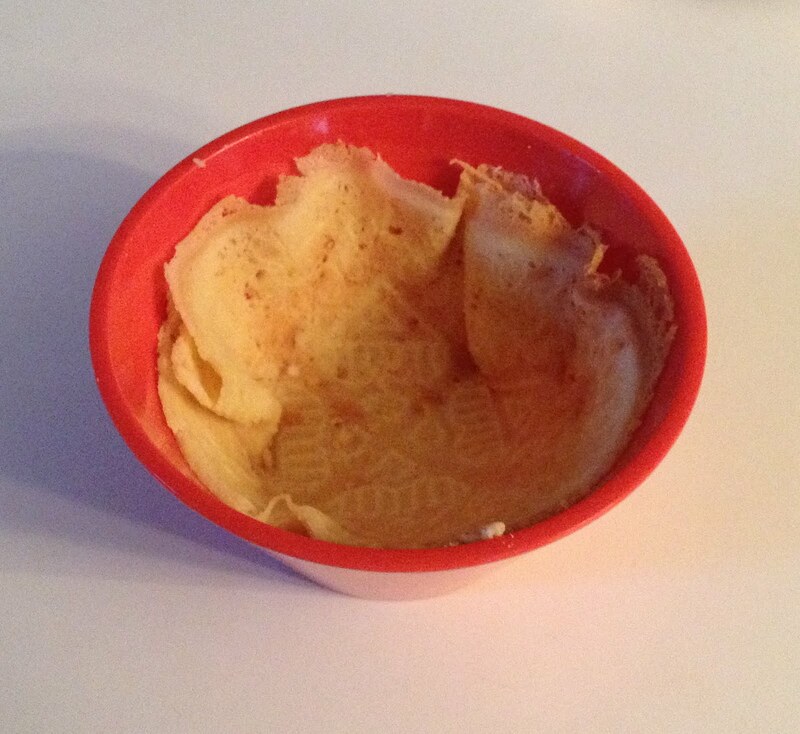 I find I have to add more sugar to crisp the Krumkake up a bit. Recipes, like traditions, adapt and change. But the spirit continues. I don’t plan on letting the tradition fade anytime soon. All the best of great food, friends, family and the holidays to you now and every day. This entry was posted in Ann Arbor, Birmingham, Ikea, krumkake, Leadership Pittsburgh, NPR, Scott Hanley, WBHM, WDUQ, Wholey's and tagged Ann Arbor, Bodil, Christmas, Danish, Hanley, Krumkake, Norwegian, WBHM, WDUQ. Bookmark the permalink. Hi Scott ! 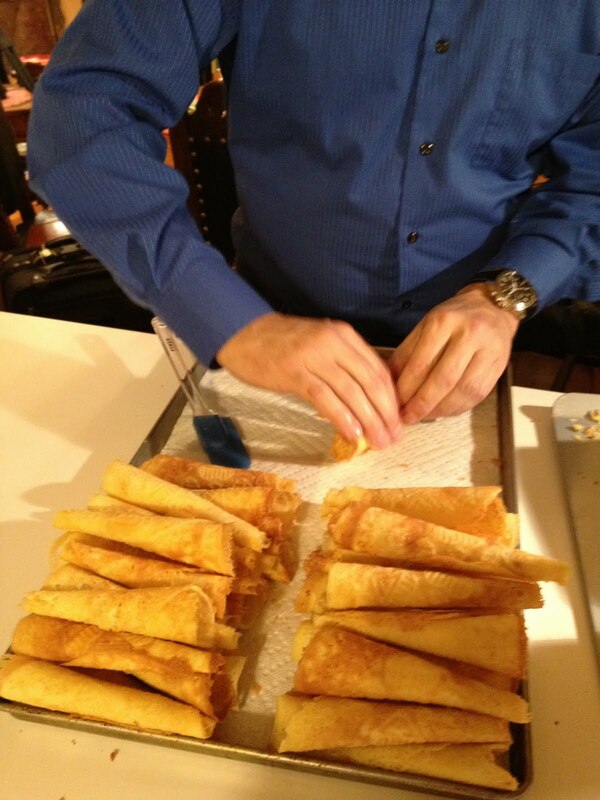 I sent this on to a friend in Cleveland who makes krumkake.